1484 : Stele with an ephebic list. Pentelic marble. 1465 : Stele with an ephebic list. Pentelic marble. 1466 : Stele with a list of youths, relief boat with five oarsmen . Pentelic marble. 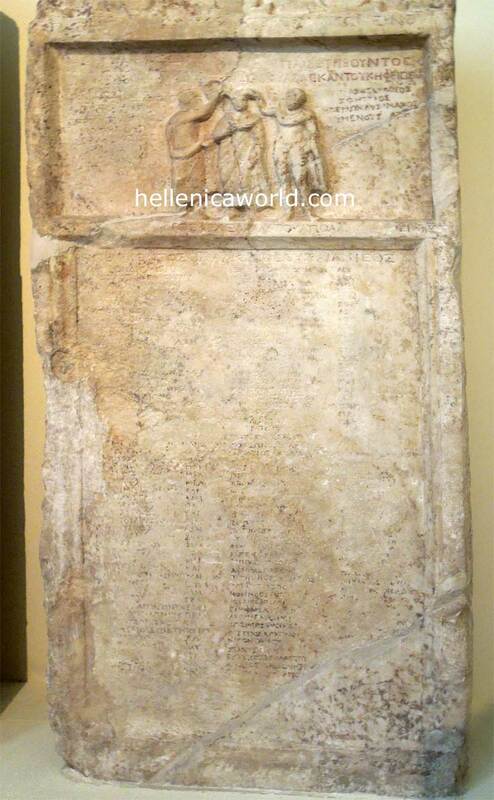 1468 : Stele for inscription of ephebic list. Pentelic marble.